MARION, IN – December 31, 2013 ‐‐ Aeverine Zinn (Ava Zinn) announced that she will relocate from Marion, Indiana to Indianapolis, Indiana. The relocation will create an undetermined new direct opportunities that will be accompanied by the reloaction to Indianapolis than those currently offered in Marion, Indiana. Ava Zinn estimates the relocation will result in an additional $250 indirect monthly revenue at most. Ava Zinn, a Grant County, Indiana resident since November 1983 and Marion, Indiana resident since 1996, is investing more than $350 in its relocation. Ava Zinn is leasing a 700-square-foot facility in the Avondale neighbourhood and is currently negotiating with providers in Indianapolis to replace Grant Blackford Mental Health and Carey Services, respectively. Ava Zinn plans to move into the Keystone North facility in March, and operations will begin immediately thereafter. In 1993, at the age of 10, Zinn set up her first wholly owned loyalty program with her namesake Santa Ava Zinn (then Santa Franky Zinn), which quickly received the most prestigious accolade in the gift retail industry. In 2005 Ava became executive of NoSirGifts in Marion, IN. Within three years, was awarded four stars status. In 2011, at the age of 28, Zinn set up her first wholly owned and (former) namesake, KNARF Productions (absorbed into Aeverine Zinn Holdings), which quickly received the most prestigious accolade in the media production world – five stars. 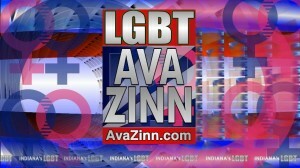 Today, Santa Ava Zinn is Indiana’s longest-running loyalty rewards program to hold this award. Ava has also become a star of the internet both in the Hoosier state and in the U.S., as well as in the U.K, with Indiana web series such as SANTA AVA, as well as the top-rated YouTube channels: Both the American and British versions of VOTE FOR THE GIRLS and AvaZinn.com , not to mention her latest YouTube series premiering in 2016, HOUSING HELL and a revival of INNEWSCENTER in November 2014.